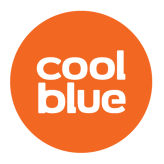 As a PHP Developer at Coolblue you will make sure our web shops are ridiculously fast and meticulously kept. You make the website a little bit better every day. You coach your teammates and provide them with constructive feedback. You come up with new functionalities and actually build them. You have to respond to the pull requests of your colleagues. Yesterday, while you were monitoring, you and your team noticed a possible edge case in the iDeal implementation that might hinder customers. Even though you’re a PHP developer, you don’t shy away from a few lines of C#, and you quickly have a pull request ready for the payment service. This will make a lot of customers happy. You tell the Customer Journey Specialist about it, so you’ll have some statistics ready tomorrow to check whether the contact with Customer Service regarding this bug’s decreased. After that, you dive back into PHP. A colleague from another team has a pull request ready to refactor the website’s navigation structure and would like your opinion. After helping him for some time, you continue working on the goal that you agreed on with your team during the standup. We need an endpoint for the service that provides order information to the website to cancel an order. Better discuss with the team which approach works best. You have at least 5 years of experience as a Software Developer. PHP is your native language, but you’re not bound by it. Your experience makes you good at improving the skills of your colleagues. You’re familiar with Agile working. You’re capable of solving problems by using accepted best practices and principles, such as SOLID and design patterns. You know how to automate recurring tasks and implement them in continuous integration and deployments systems. You think code quality is important. Extraordinarily good work environment, including freshly made snacks, monthly drinks, legendary Coolblue parties, awesome team activities, and an informal, playful department. A horizontal organization in the broadest sense. You could just go and have a beer with the boss.